A new form of motion-sensing wearable tech is aiming to track the movements of athletes and help them rehabilitate from injuries. 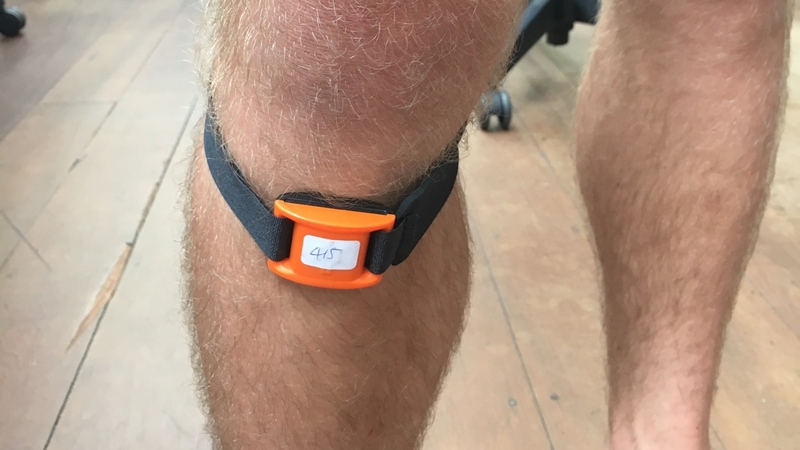 IMeasure U's IMU Step, which is currently being tested throughout the NBA, Pac-12 schools and Harvard University, consists of two small sensors placed above the ankle that capture the movements and stress put on athletes' bodies. The system measures how hard each limb hits the ground in order to calculate asymmetries and workout intensity before offering a "bone load" score for each athlete's training session. This allows trainers and coaches the chance to review the data and keep track of a player's condition, whether it's simply related to managing a heavy workload or planning a route back from injury. And once enough data has been gathered by the sensors, IMU Step can create individual profiles for athletes, meaning that the risk of re-injury can also potentially be reduced through rest schedules and personalised workouts. App alerts will also be sent to trainers in order to make sure rehab is complete before an athlete returns to a full workload. The system is currently available as part of a subscription plan, though just how well it works in practice is unknown. We've seen plenty of examples of sensors and smart clothing tracking standard metrics, such as heart rate, in order to help prevent injury and keep tabs on the body. IMU Step, though, seemingly brings training staff a new way to manage injuries.